XRP/BTC is in a volatility squeeze. 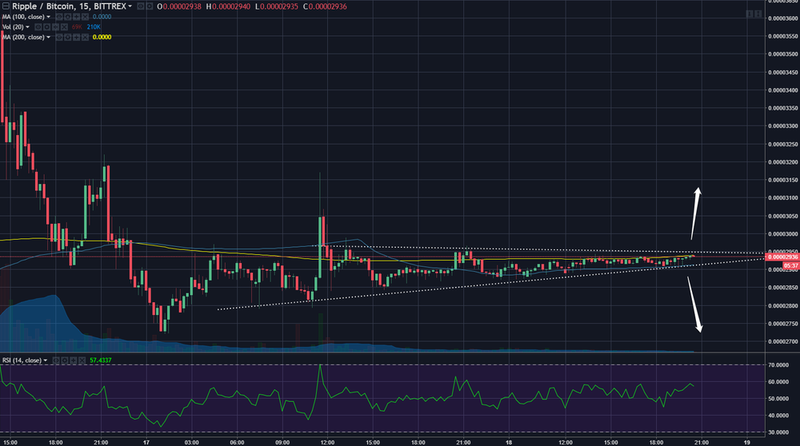 A breakout is imminent. A break above 0.00002950 could be a signal of some bullish volatility expansion. A break below 0.00002900 could results in the opposite.